Today, the European Union Affairs Committee of the Riigikogu (Parliament of Estonia) met with Vice President of the European Commission Andrus Ansip, who gave an overview of the financing perspectives of the next budget period of the European Union. Chairman of the European Union Affairs Committee Toomas Vitsut said that the discussion of the opportunities opening to Estonia had only started. “Estonia is still of the opinion that the cohesion funds should ensure the equality of different regions, and that agricultural subsidies should be distributed more equally,” he emphasised. Vitsut said that during the negotiations it would become clear which amounts specifically would be allocated to Estonia for these policies. “There is no reason for pessimism today, but we at the European Union Affairs Committee will follow closely which direction these negotiations will take,” Vitsut added. Vice President Ansip explained the Committee that the general starting position of the budget negotiations was not very good, because Brexit would make a large hole into the revenues of the European Union, and at the same time finances for new policies had to be found. In his opinion, the apple of discord is ten times larger than 14 years ago. Speaking of Estonia’s position at the budget negotiations, Ansip said that the current plan proposed by the European Commission exceeded expectations. He explained that according to the rules which had been agreed upon when acceding to the European Union, the European aid to Estonia should have decreased by 45 percent when the income per capita reached 75 percent of the European Union average. By today, this limit has been exceeded, but according to the plan proposed by the European Commission, the European aid to Estonia would be cut only by 24 percent. Ansip remarked that in several sectors, the European Commission distributed finances on the basis of competition. He mentioned as an example that in applying for research funding, Estonia had always been successful, and hopefully more resources would be received from there. Estonia could get financing for Rail Baltic from the Connecting Europe Facility. A defence fund will also be established during the new budget period. 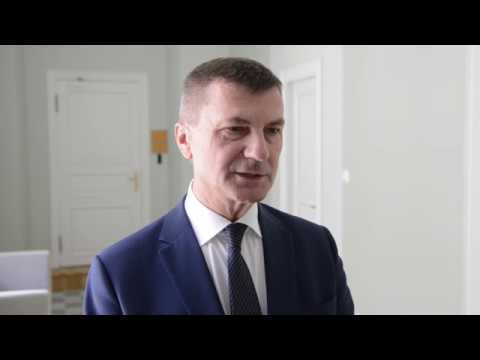 “I would not be surprised if Estonia got more money from the European Union budget during the next period than it did during this period,” Ansip said.